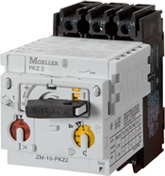 The Moeller PKZM 01 is a new type of motor protective circuit breaker ideally suited for motor up to 25A and is ideally suited to small machines and applications where operation by pressing or even hitting a button is preferred. 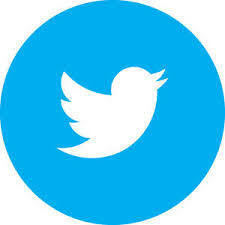 The short-circuit switching capacity is 50kA. Special enclosures with ingress protection IP65 or IP40 and Emergency stop buttons are available for this range of components. Feature protection against direct contact, solid foreign bodies and dust. Whether equipped with protective membranes, locking devices or emergency stop buttons, the methods of actuation are suited for any application. The Moeller PKZM0 switches motors up to 32A. Short-circuit rating (400 V) is rated up to 150kA up to 12A and 50kA up to 32A. Thanks to the high switching capacity, current limiters become virtually obsolete. 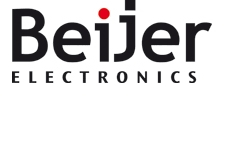 With just two motor protection variants, the entire range from 0.1 to 65A is covered. The Moeller PKZM saves precious inventory space and simplifies engineering efforts. With a width space of just 55mm the PKZM4 is the narrowest switch for 65 A. Whether it is an integrated auxiliary contact, a trip-indicating auxiliary contact, a voltage release or door coupling handles, the accessories for the PKZM0 can be used for the PKZM4. The Moeller PKZ 2 has intelligent accessories to allow flexible solutions for a wide range of communication tasks. Various plug-in trip blocks allow the PKZ2 to be converted in no time at all. 3-pole and 4-pole trip blocks are available for motor and system protection. Differential signaling clearly indicates the switching states of the circuit-breaker. Auxiliary contact modules, voltage releases or trip-indicating auxiliary contacts can be fitted quickly and easily. The RS-PKZ 2 electronic remote operator can be actuated directly, without any coupling elements from the semi-conductor outputs of a PLC (24 V DC). 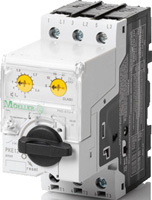 The Moeller PKE motor protective circuit breaker has versatile approved accessories from the xStart range for safe and rational control panel construction. A universal accessory series from the PKZM0 system facilitates economy in logistical terms and reduces engineering costs. 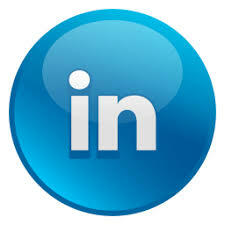 Service: Service-friendliness: fast commissioning, simple to wire, short conversion times. For more information about the Moeller Motor Protective Circuit Breakers, contact More Control on 0345 00 00 400.